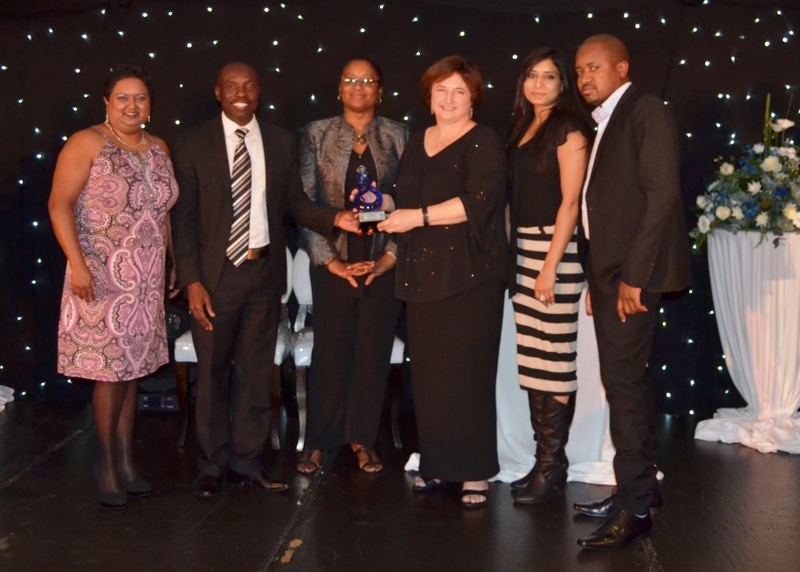 Nelson Mandela Metropolitan University’s Innovation Office won the DST-SARIMA* Award for Organisational Excellence in Innovation Management at the SARIMA gala dinner last week. Presented by the Deputy Director General of DST, Mr Mmboneni Muofhe, the award recognises an Innovation Management Office in Southern Africa that has made a significant contribution to their institutions and their country, with a focus on contributions in 2015. 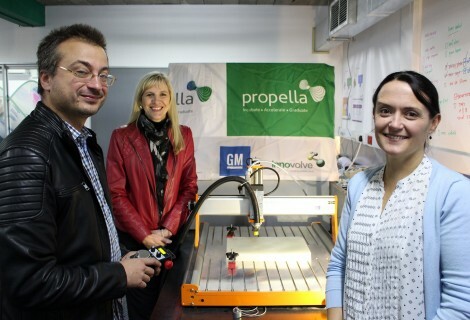 NMMU’s Innovation Office won the award for their excellent work in a number of areas including the launch of Propella, NMMU’s Innovation Incubator. 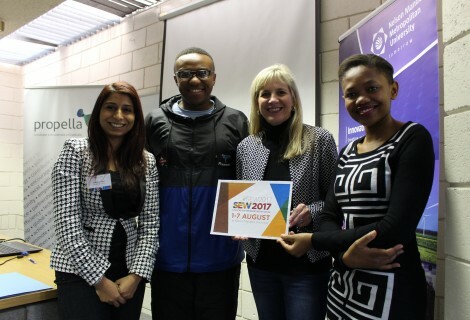 Receiving the award from Mr Muofhe (second from left) and Dr Jose Jackson-Malete (SARIMA President – third from left) are Ms Mary–Ann Chetty (Senior Innovation Manager), Ms Jaci Barnett (Director), Ms Naazlene Patel (Innovation Officer) and Mr Fredrick Matongo (currently Tech Transfer Manager at University of Fort Hare but part of NMMU’s Innovation Office in 2015).